You design your CV’s to apply for a job or many other purposes for that you need a CV. This story is similar though it can make a history. Many Google+ users are there who were invited, well one CV was deigned to apply for a job from a user of Google+. 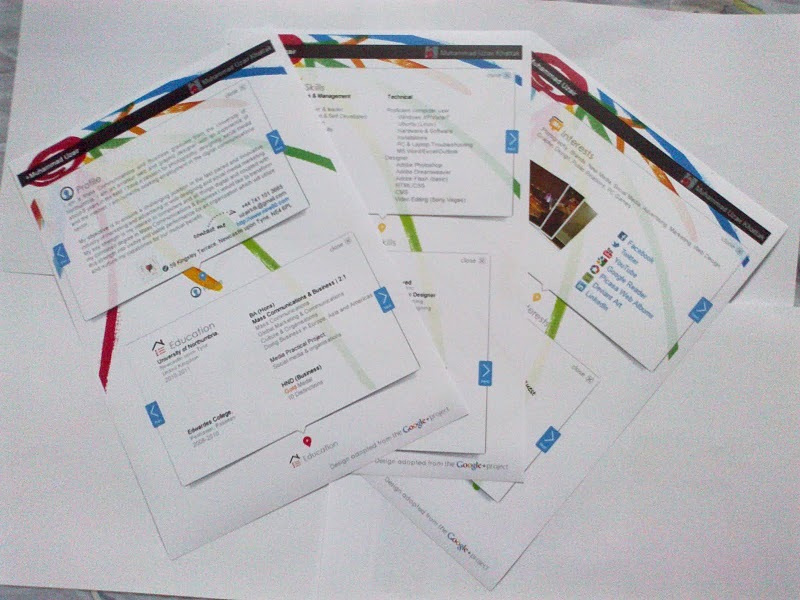 He/She designed the CV in the layout of Google+, in short he wrote about himself in the theme of type of Google+, creating column etc. So is anybody going to do that, yeah of course no one because it’s a HISTORY and do share with us if you go with any of experience related to this.